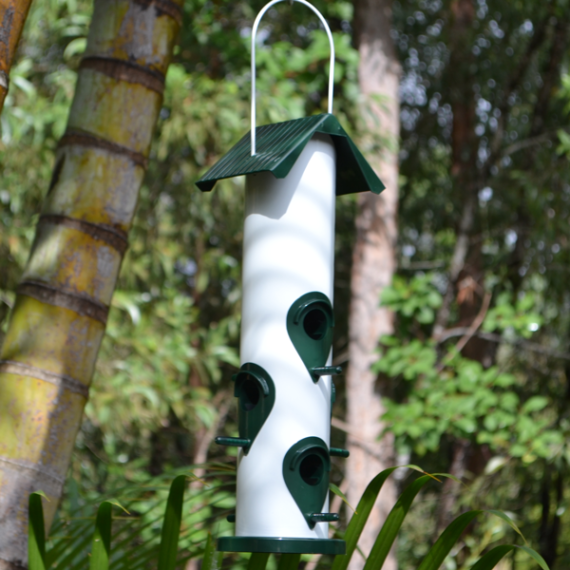 This white and dark green trimmed Nature Mates Classic Tube Bird Feeder can hold up to 1kg of wild bird seed, nyjer or nuts. 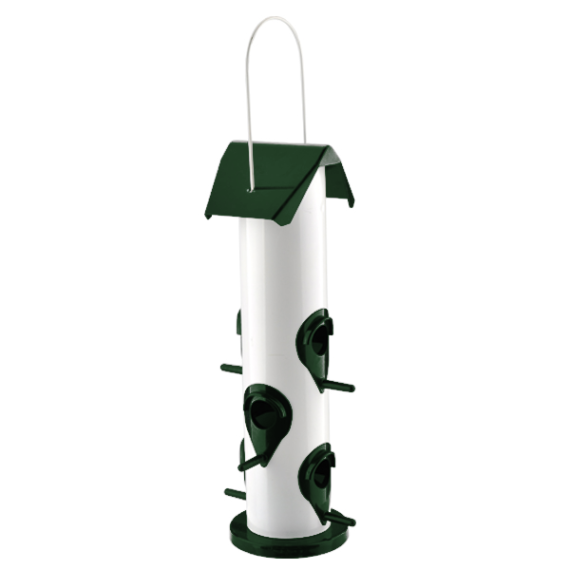 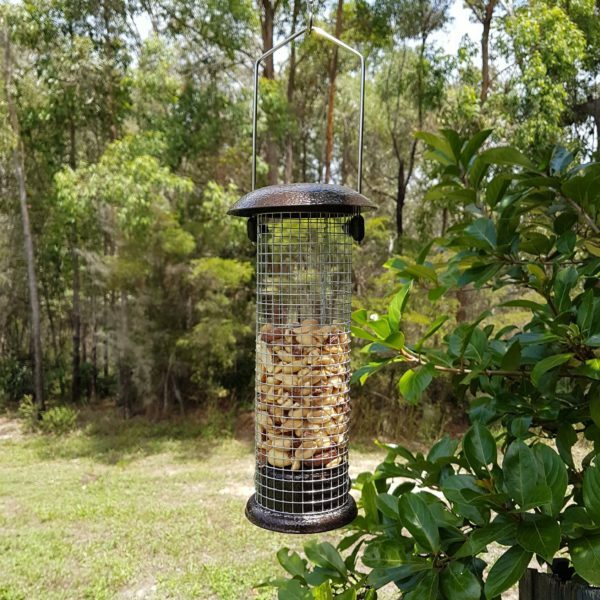 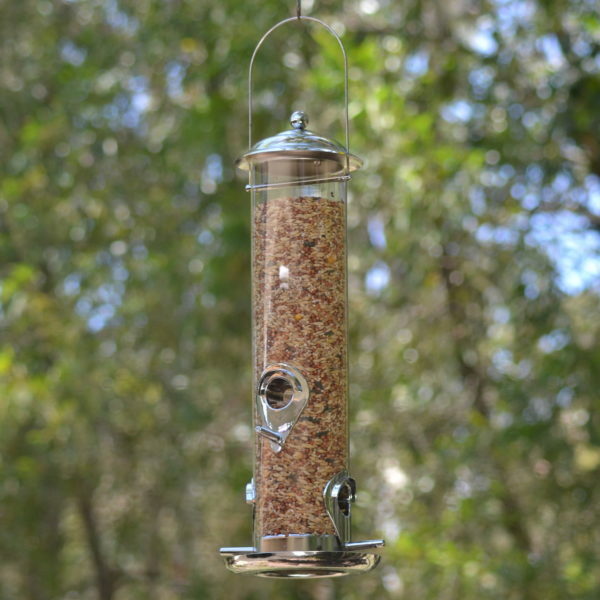 The tube bird feeder is fitted with 6 feeding ports and perches to encourage simultaneous feeding of your small to medium sized garden species whilst the steel handle allows for easy hanging from branches or with wire or rope. 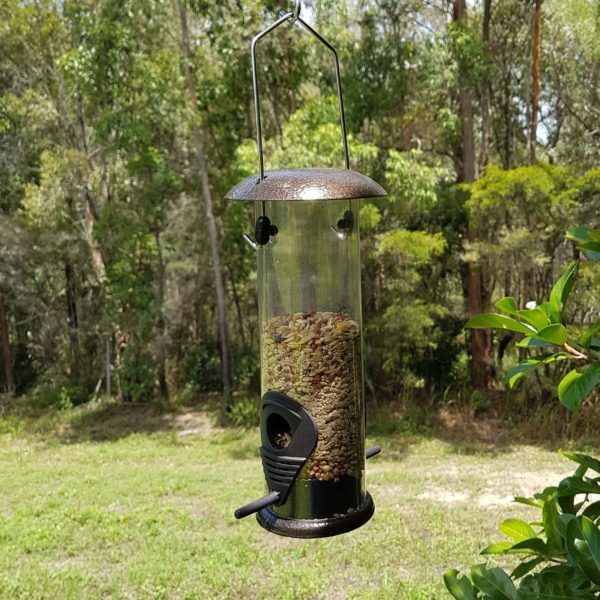 It’s extremely easy to fill, just lift the green lid to the side and fill with wild bird seed, nyjer or nuts. 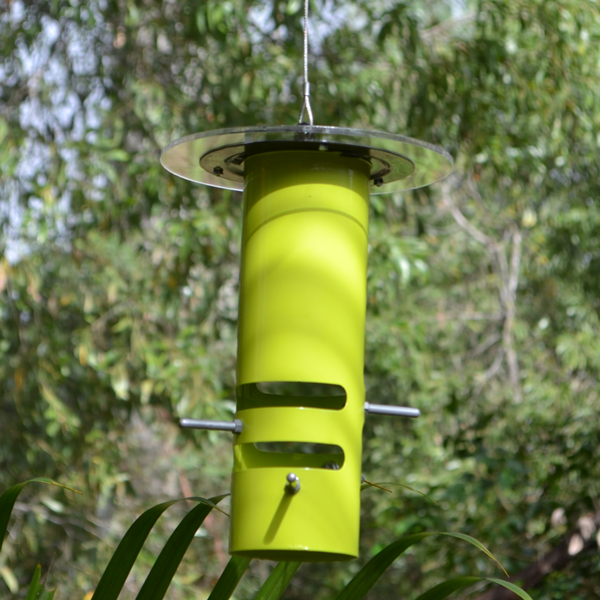 Made from eco-friendly, coated iron sheet and ABS, the size of the feeder is 8cm (di) x 35cm.